« Video: Will We See Vintage Vick? In what will be the most extensive glimpse into Chip Kelly’s starters before the start of the regular season, the Eagles pulled out a 31-24 victory over the Jaguars in a sloppy fashion. The first team defense surrendered several gashing runs and was at times carved up by Chad Henne and Justin Blackmon. Offensively, the Eagles were able to move the ball, but their turnover woes from 2012 persisted and the offensive line took a step back from its first two preseason performances. QB Michael Vick wasn’t nearly as comfortable in the pocket as he has been. He used his legs often, registering 53 rushing yards and ducking Jaguar pass rushers for much of the night. He made one very poor decision – trying to throw the ball away in the face of pressure – that he paid for in the form of an interception. He missed another throw to Brent Celek on a wheel route, but otherwise was accurate. It’s clear that offensive line play will be a determining factor in Vick’s success in 2013. 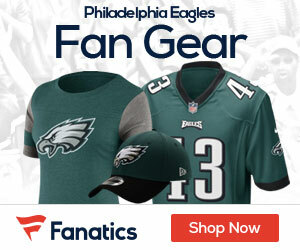 QB Nick Foles went 10-for-11 and engineered the game winning drive. He does a nice job of taking what the defense gives him, but also pushed the ball downfield a bit more than usual. He is definitely one of the league’s premier backup quarterbacks. RB LeSean McCoy found very little running room, and was often buried for big losses. He did wriggle free for a 15-yard-gain, but the Jaguars mostly kept him in check. 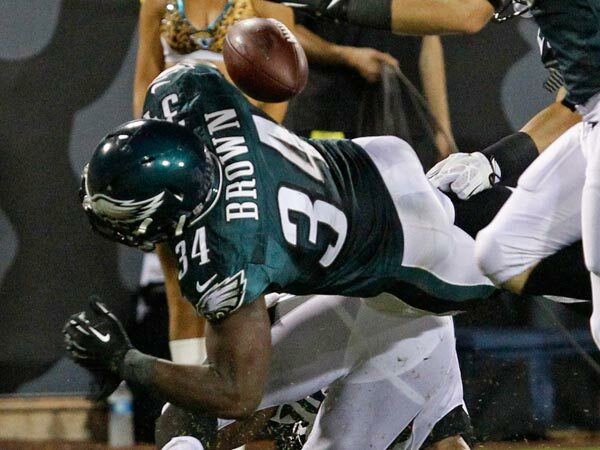 It’s a shame that RB Bryce Brown lost a fumble because he played so well otherwise. He has tremendous burst and should be the team’s clear-cut number 2 back. RB Chris Polk played well. He’s nothing special, but he can churn out yardage when he runs decisively. He was able to get north-and-south and overpower defenders for the extra yard. It’s unclear if he will have a role in the offense, but his roster spot is safe. 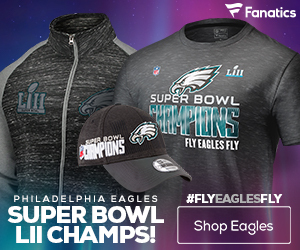 WR Jason Avant – despite speculation that he may be fazed out of the offense – continues to be a favorite target for Eagles quarterbacks. He has sure hands, runs great routes, and has a lot of veteran savvy. The Eagles ran some bubble screens for him, and though run-after-catch is not a strong point in his game, it’s an indication that the Eagles view him as a complete player who will be on the field a lot. TE Brent Celek was heavily targeted in the first half. The Eagles want him in the game because he’s by far the team’s best in-line blocker, but he can also be a factor in the passing game despite sub-par athleticism. OT Jason Peters made his preseason debut and appeared to be in good shape. He kept up with the offense and operated well in space, often working to the second level. OG Evan Mathis was whistled for a penalty and gave up a sack on a stunt play. OT Lane Johnson surrendered some pressure. He’s got all the athleticism in the world, but must get better in one-on-one situations with edge rushers. C Jason Kelce has been a solid blocker, but some of his shotgun snaps have been erratic. The entire starting defensive line was pushed around, giving Maurice Jones-Drew and Jordan Todman some massive running lanes. DE Vinny Curry continues to impress. He has been a dominant interior pass rusher, at least against backup offensive linemen. OLB Connor Barwin looks comfortable in coverage and rushing the passer. He came up with an acrobatic interception and is clearly the team’s most complete outside linebacker. He gives the defense a lot of flexibility. OLB Trent Cole, on the other hand, does not look good in space. He misses tackles and his lack of speed is exposed. When he’s not rushing the passer, he’s a liability. OLB Travis Long had a very impressive sack when he completely manhandled the left tackle on a bull rush and forced a fumble. With Phillip Hunt done for the year, he has an outside shot at a roster spot. Another reserve OLB trying to make the team is Everette Brown, who generated consistent pass rush. He’s a former second round pick and could overtake Chris McCoy on the depth chart. ILB Mychal Kendricks showed great range, getting to quarterbacks and ball carriers from sideline to sideline. He’s also a tremendous blitzer and has experience in a 3-4. He’s not a good downhill run stuffer, but he’s an ideal run-and-chase linebacker. ILB DeMeco Ryans simply isn’t fast. He’s one of those players who looks better once the regular season starts, but his lack of athleticism is a bit of a concern. S Earl Wolff got a chance with the first-team defense, but was one big reason why Jordan Todman broke off a 63-yard TD run. The Eagles have no appealing options at safety next to Patrick Chung. CB Brandon Hughes suffered a broken hand. Fellow CB Curtis Marsh has the same injury. CB Eddie Whitley also went down, but with a knee injury. The extent of it is unknown, but Whitley is one of the most underrated players on the Eagles. He’s got great length and can stick with receivers in man coverage. WR/KR Damaris Johnson lost a fumble on a punt return and followed that up with a miserable kick return out to the 10-yard-line. He bounced back, taking each of his next two kick returns into Jaguar territory. He has elite quickness, but his lack of size and long speed hurt his chances of seeing much time at receiver. i wish i could say this team looks like a team that can win games this year but i just dont see it looking good for the eagles especially with their defense. one thing that will be interesting to watch is how chip kelly handles his post game interviews especially after something like a 4 game losing streak.